Oscar is a cabinet with three central doors and two lateral chest of drawers. The structure is in walnut canaletto wood and the interior in white painted Fiddleback Sycamore veneer. 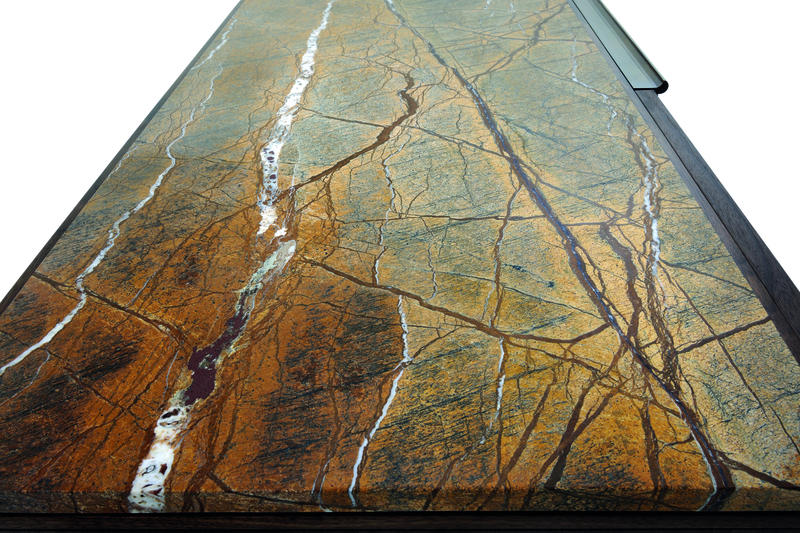 The top is available in walnut canaletto wood, glacÃ© painted glass, Rain Forest Brown marble in leather finish. 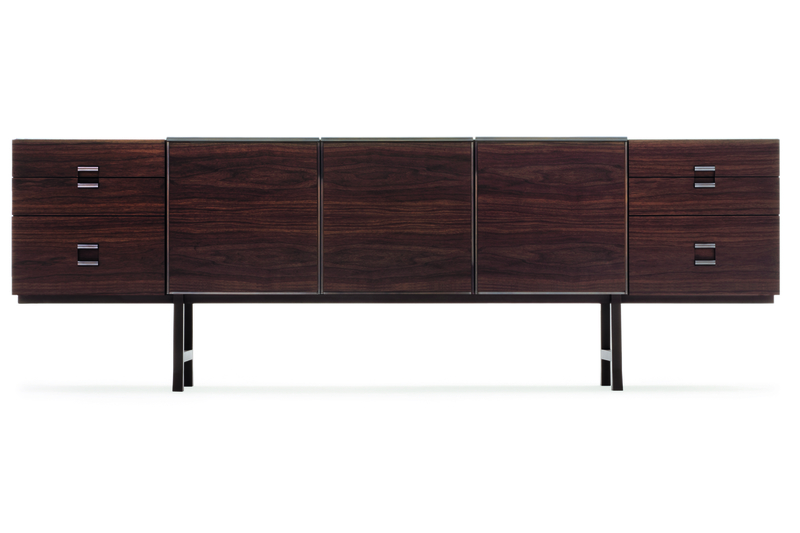 The doors are available in three kits for the fronts: in walnut canaletto wood, glacÃ© painted glass, saddle leather. The particular structure of the doors allows the different versions to be interchanged, by replacing only the front panel. 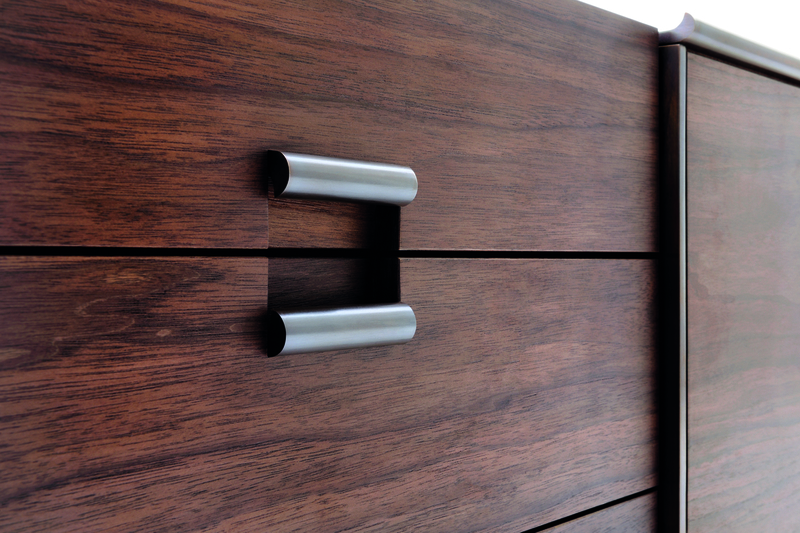 The drawers are equipped with recessed sliding guides with silent closing system and the handles are in bronzed metal. The metal base is painted in a bronze colour.